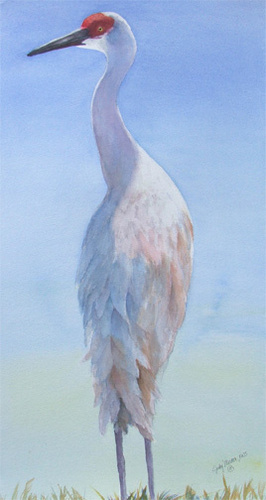 Original watercolor on 300# paper, showing a Sandhill Crane in early spring. The piece measures 36" H x 22# W including the mat. It will be shipped flat.